Designed In-House and Guaranteed For Life! 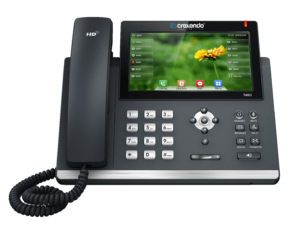 Choose from an array of fully featured VoIP Phones and accessories. Our desktop phones are 1st party designed, developed, and fully supported by Crexendo for the life of your implementation, so you can be sure we’ll stand by our products and accessories. Choose from our high-quality desktop phones that leverage industry standard SIP protocols for an easy plug & play VOIP solution. 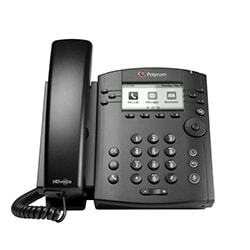 Our desktop phones offer full feature sets including voicemail, call waiting, call forwarding, and many, many more. 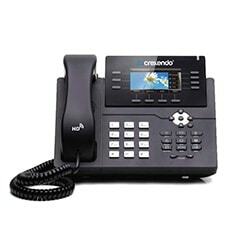 Plus, all Crexendo desktop phones are designed and manufactured by Crexendo and come with a lifetime warranty while on our service so you can be confident that they are 100% supported in-house by our team. Our full-featured cordless office phones enhance your freedom and mobility while you work. Great for IT staff, retail, receptionist, or anyone who moves around your office. We offer a number of powerful operator console devices that meet the needs and flexibility of today’s receptionist and operator needs. Full-featured solutions that improve call handling and communications to meet all your telecom needs. 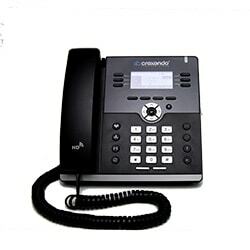 Crexendo offers superior VoIP conference room solutions. With HD voice and top-of-the-line feature sets, you can be sure our conference room devices will fit all of your organization’s communications and conferencing needs. Already have VOIP phones and other SIP devices? 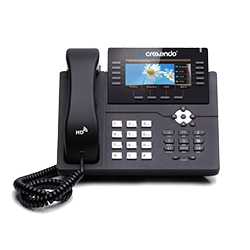 Crexendo supports numerous industry standard SIP phones and telecom devices. Check below to see if your existing hardware is compatible with our solutions. Our headsets free your hands up to take care of business. 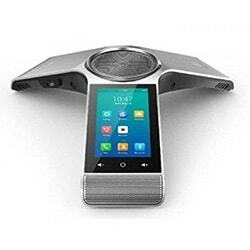 Hands-free calling will improve productivity and make it easier to work while you communicate. Plus, you can be sure that our headset options are 100% compatible with all our Crexendo devices. No fumbling with adapters or additional software. Wired or Wireless, we have the right headset for you. Contact us to upgrade your phones now!